9. 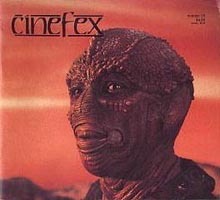 Enemy Mine by Wolfgang Petersen. This almost completely overlooked little gem came and went without a trace in 1985, despite that it had been directed by the same director who had released the immensely popular The Neverending Story a couple of years earlier. No, I replied. It stars Dennis Quaid and Lou Gosset, Jr . That in itself should signal how far from culture-war Christianity this movie is. Anyway. Its not preachy or overblown. It gets a little long, especially in the middle, but it stands on it own as a decent sci-fi flick as well. I liked it better than The Last Starfighter, which is very high praise indeed. 10. Wizards by Ralph Bakshi. Before Peter Jackson, animator Ralph Bakshi tried his hand at bringing Tolkien’s triology to the big screen. It was a glorious disaster, and unfortunately, Bakshi was never able to finish it. The movie ended just after the battle of Helm’s Deep, dealt nothing with the journey of Frodo and Sam, and looked a lot like rush hour at Grand Central Station if the riders were orcs rather than commuters. To make the money necessary for his try at the Lord Of The Rings, Bakshi released Wizards in 1977. At this time, Bakshi had a reputation as a bad-boy animator because of his X-rated rendering of Fritz The Cat, which in retrospect was probably not that prurient. Wizards is the story of two wizards, twins, born to the elven queen far in the Earth’s future. Black Wolf lives in the ruined land of Scorch, envying and hating his brother Avatar, who lives in the peaceful and pleasant land of Montagar. Black Wolf rises the mutant inhabitants of Scorch against the elven inhabitants of Montagar, only to find that his legions have no spirit for the fight. Black Wolf digs deeply into a terrible period in human history to inspire his minions. How Avatar counters him is my favorite ending in all of fantasy cinema. It is well-drawn and well-written, and if you like zaftig elven maidens in flimsy gowns, this is a movie just for you.